The ultimate in super chunky loop pile wool carpet, Galloway is pure wool, pure style and pure luxury! The 4 ply, undyed, 100percent wool yarn used to make Galloway creates a soft and sumptuous, finest quality loop pile carpet that feels fantastic underfoot as well as adding a cool and laid back air of low-key luxury to your interior styling. 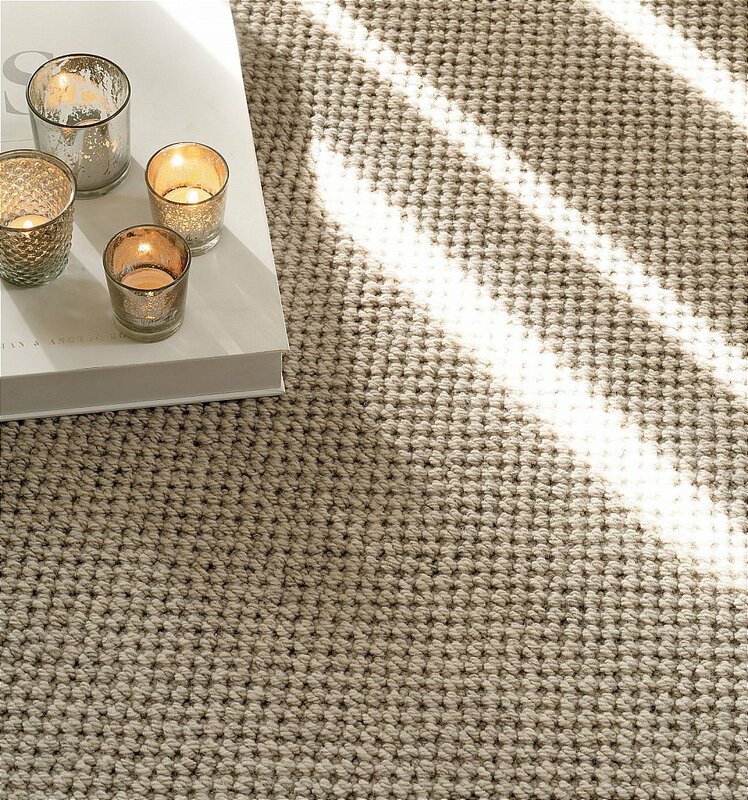 Because wool is naturally durable and easy to keep clean this carpet will stay looking good too. Three gorgeous textural designs in six modern, naturally blended colours give plenty of choice for a wide range of interior moods and styles that would suit a restful rural retreat or a chic city apartment. Beautifully made and wonderfully warm Galloway really is fashion for your floor. I would like more information about Galloway Carpet - Fleet Falcon by Brockway Carpets.